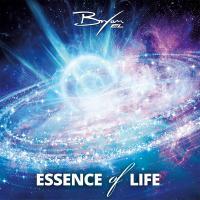 Let Bryan's fourth album take you on a cosmic journey that will lift you to a higher state of being. Let it touch your heart with it's uplifting and dramatic melodies. This album is meant to inspire those in need of inspiration and revive their mind, body and soul. Lay down, relax and experience a wide range of emotions which ultimately form the "Essence Of Life".